When living with a chronic illness or disease, like Type-1 Diabetes, you wear a medical alert bracelet. This is to notify first responders or others that might come in contact with the person in an emergency. In any house, you have alerts. Alarm clocks, timers on the microwave or stove, thermostats and sometimes even our smoke alarms. We have these things to warn or tell us when something is done or when something is wrong. In our house, alerts are the norm. We have lots of medical alerting devices along with the above mentioned ones. They too alert us if something is wrong. 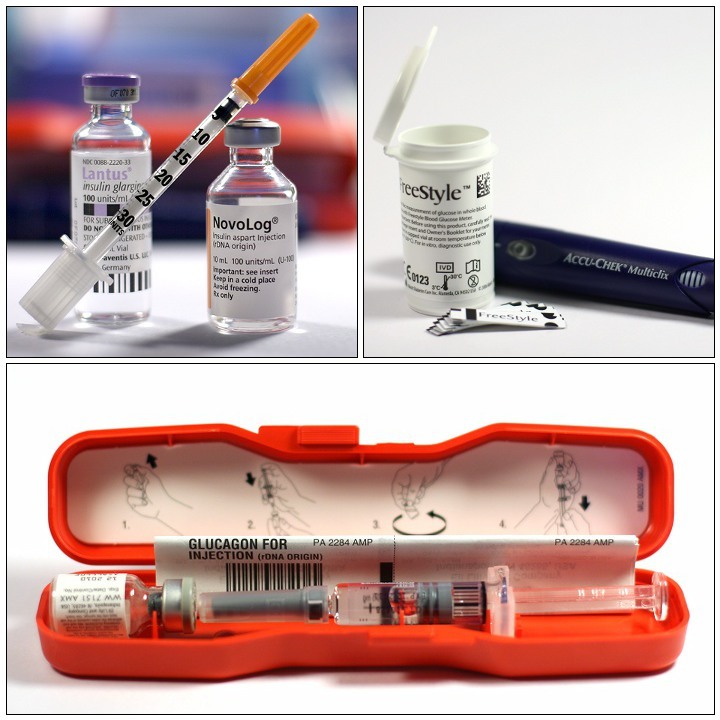 The insulin pump will alert if there is an occlusion in the tubing or cannula, if the cartridge is running low on insulin, if the battery is getting low, or if there is a problem with the pump when it goes through it’s safety checks. The continuous glucose monitor (CGM) will alert if it senses the blood sugar rising or falling too fast, if the blood sugar is too high or too low, if it’s battery is getting low, if the sensor isn’t reading like it should, and if the sensor has failed. We have alerts/alarms to help us react quicker to impending problems. 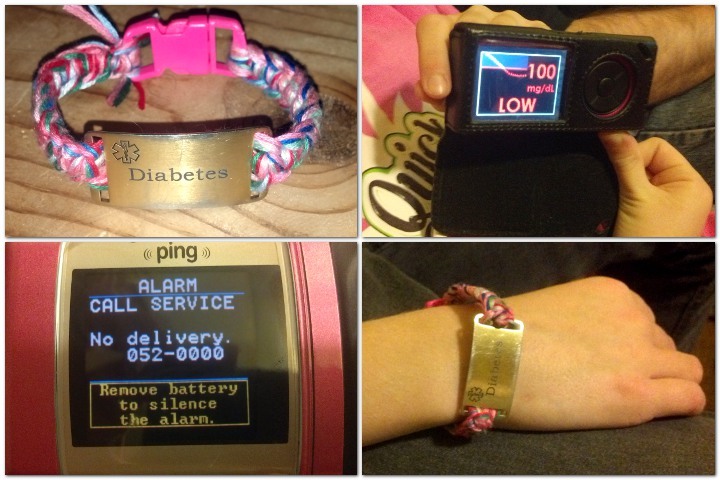 Without a medical alert bracelet, someone may not know that my daughter has diabetes and not get her the help she needs immediately. Without the CGM alerts, we might not catch a low blood sugar until it is too low. Without the pump alerts, we wouldn’t know that delivery has stopped until the blood sugar is too high. We live with these alerts for a reason, to help save a life! Just some of the alerts in our lives. This entry was posted in Uncategorized and tagged alarm, alert, cgm, Diabetes, dmpad, pump on November 15, 2013 by Charity.